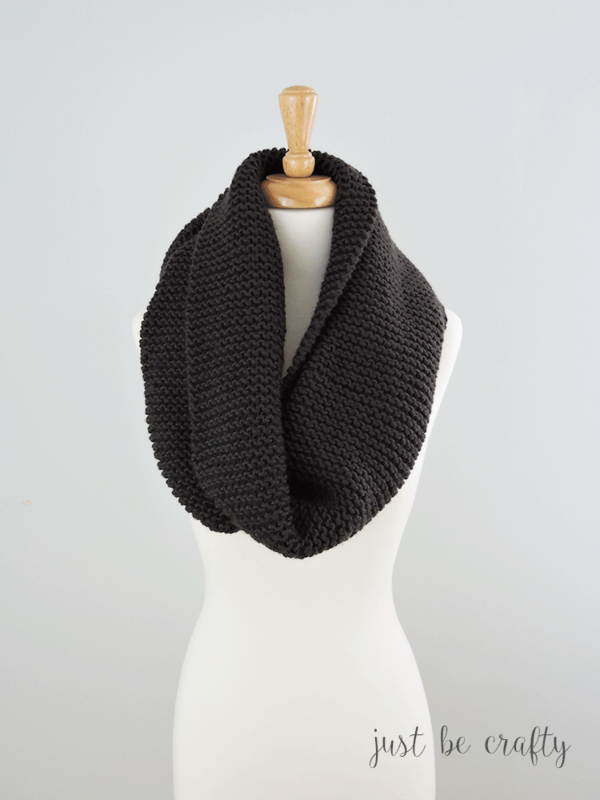 This garter stitch scarf is the perfect fall and winter project for the beginner knitter! The beauty is in the simplicity of this project and was actually inspired by scarf I spotted at Forever 21! Hello and happy February! Since the weather is still chilly out I thought it would be fun to share a new scarf pattern. 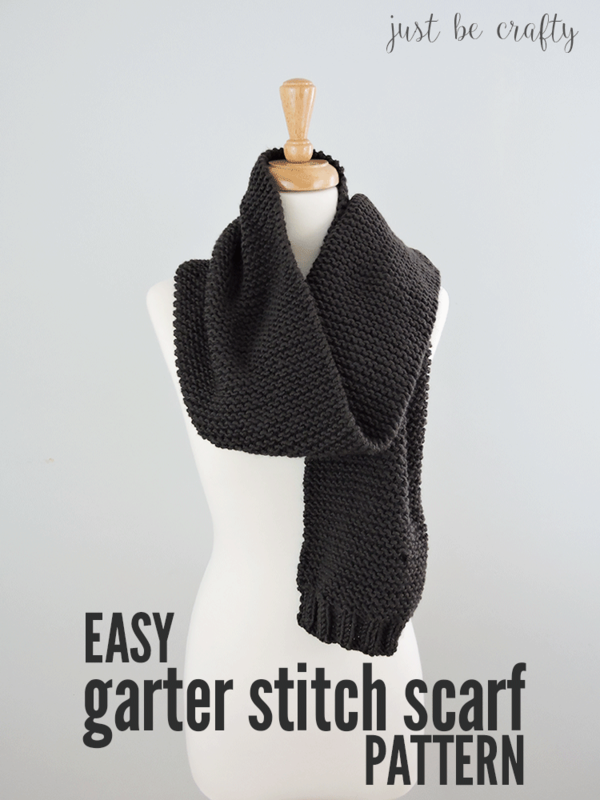 This pattern is called the Easy Garter Stitch Scarf and like the name says it is VERY easy to make. 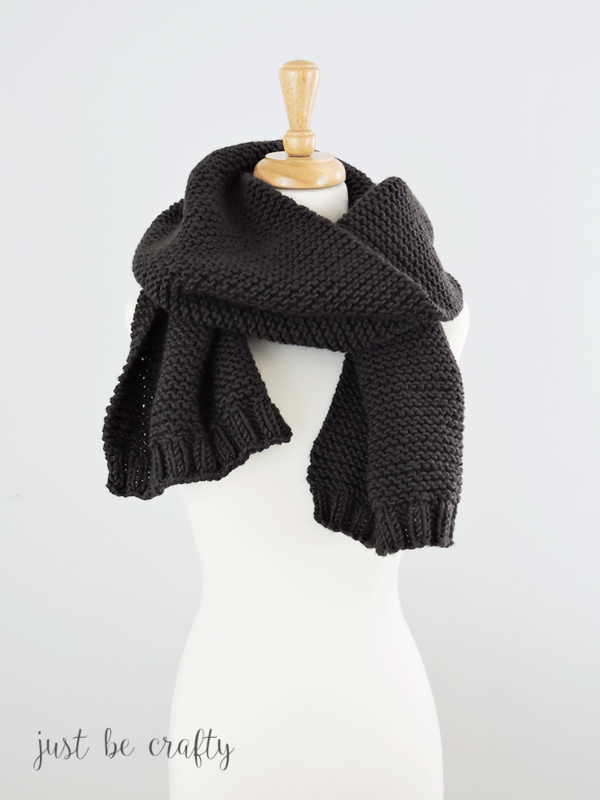 This project is perfect for a beginner knitter or an experienced knitter that wants to catch up on some Netflix, or just knit mindlessly! It’s one of those projects that doesn’t require much thinking and is just relaxing to make. I got the idea for this scarf from a trip to Forever 21. I saw some similar looking scarves and thought… I can make that! Do you ever go to the store and see something you love but just don’t have the heart to buy because you’re thinking “I can make it myself!”?? Let me know in the comments below! Work in garter stitch by repeating Row 7 until entire piece measures about 60 inches. Starting on a right side, repeat Rows 1 – 6. Since garter stitch is a reversible fabric you might have a hard time seeing which side is the front and back of your scarf at this point. If you’re having trouble determining if the “right side” or “wrong side” is facing you, look at the ribbing at the starting end of your scarf. Weave in all ends and enjoy!